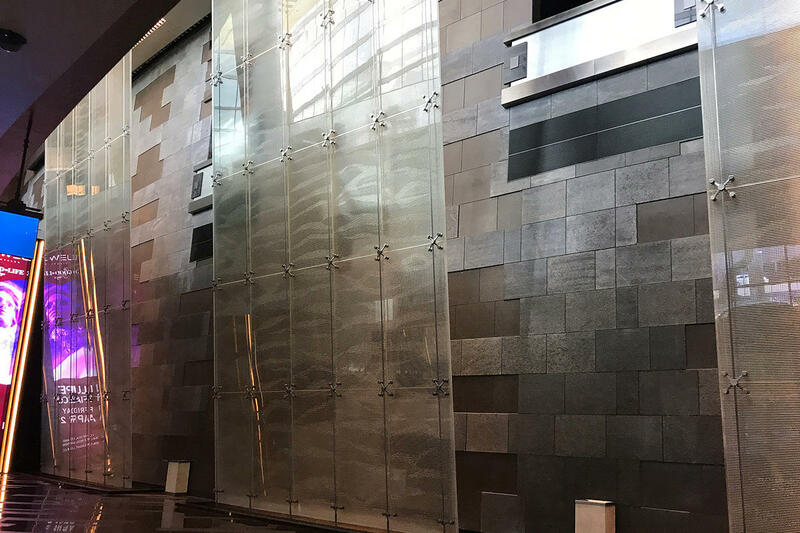 This two-story-high water feature titled “Latisse” creates a dramatic backdrop at the Aria Resort & Casino in Las Vegas, Nevada. 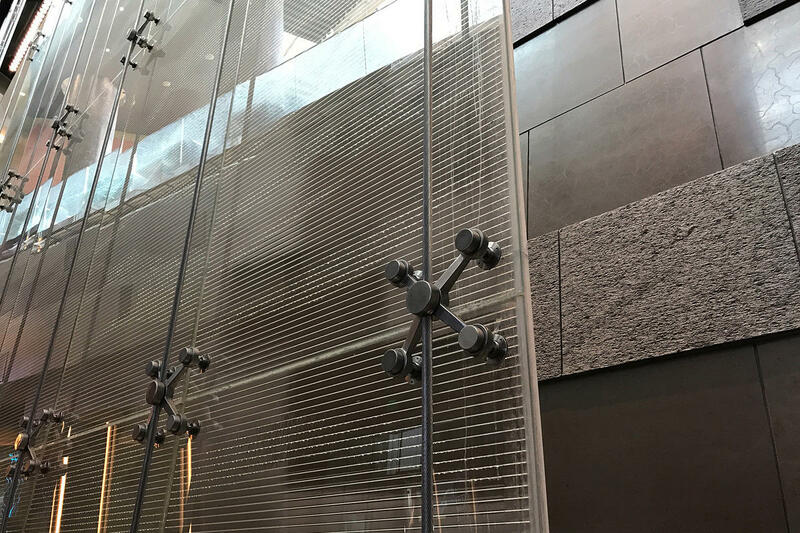 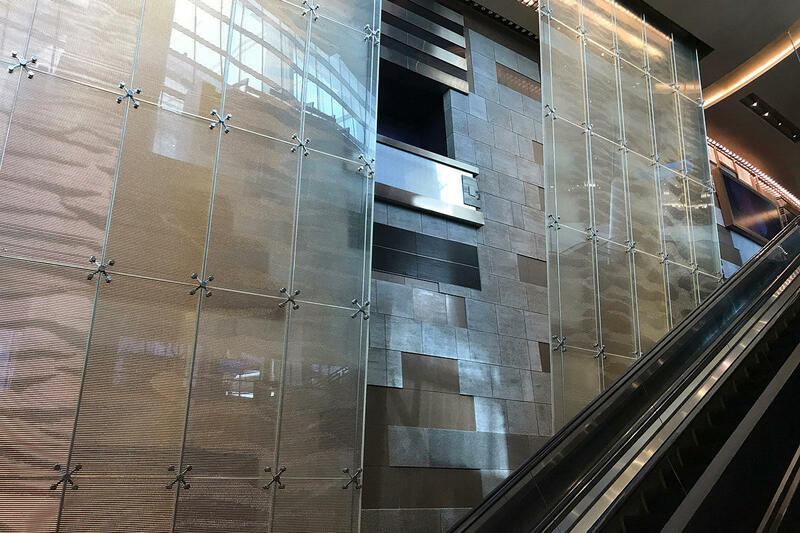 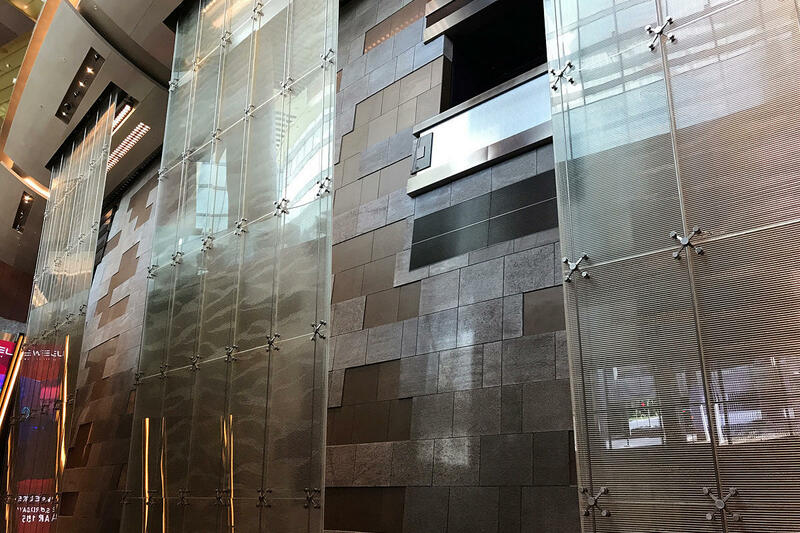 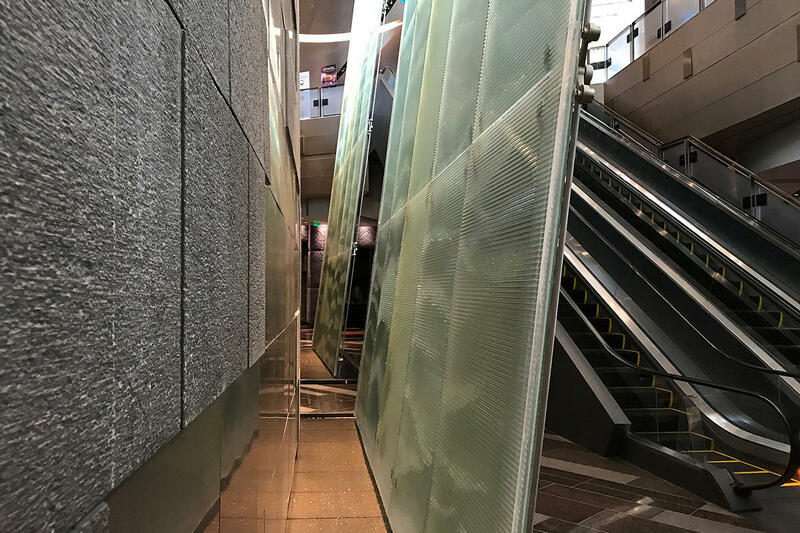 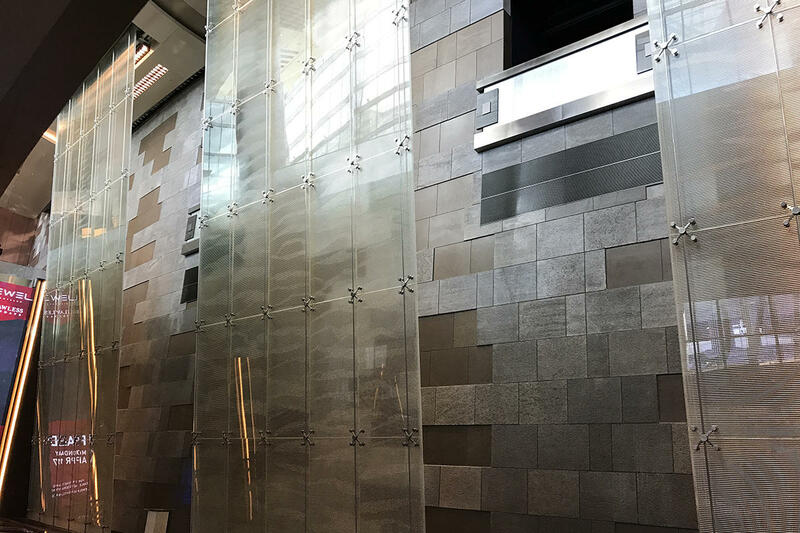 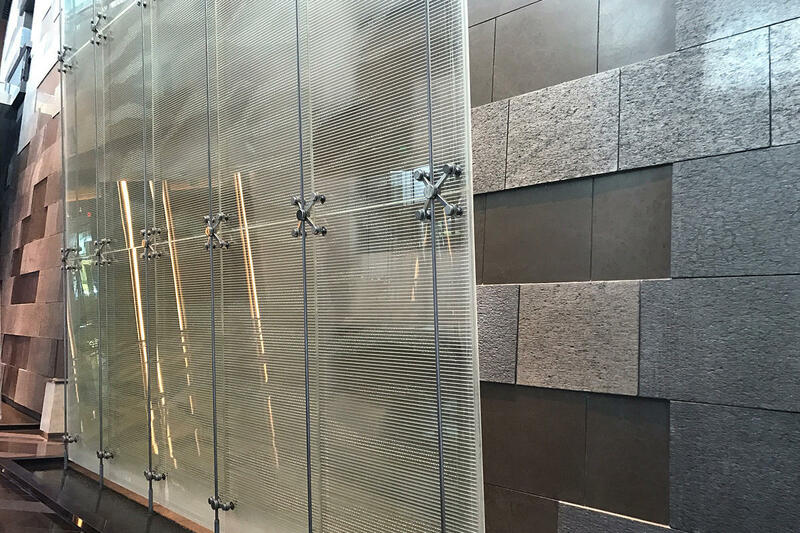 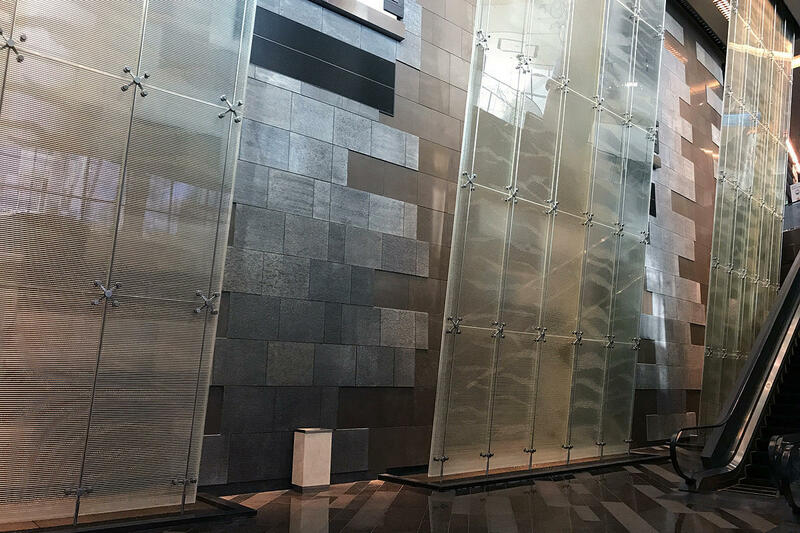 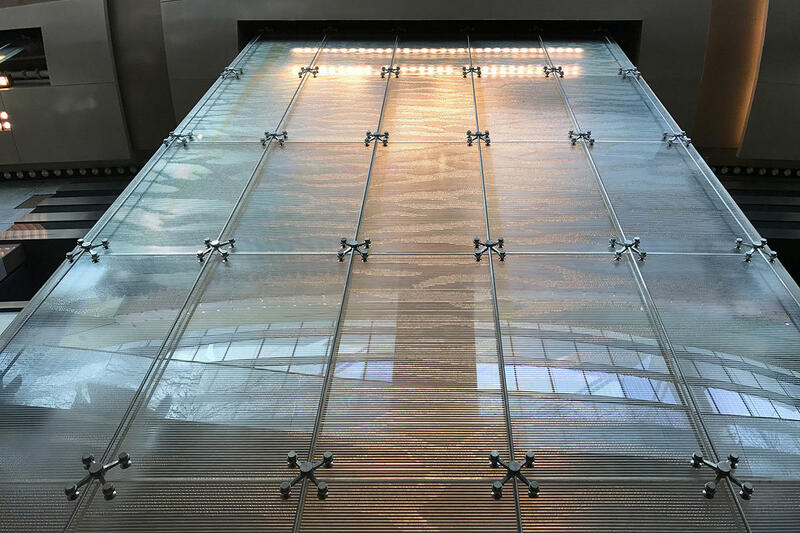 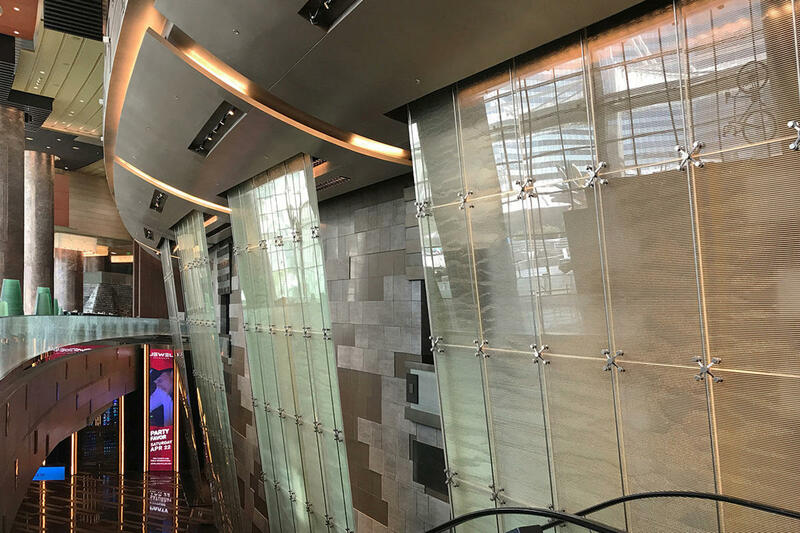 Working with BermanGlass, WET Design composed the freestanding installation of textured kiln cast glass. 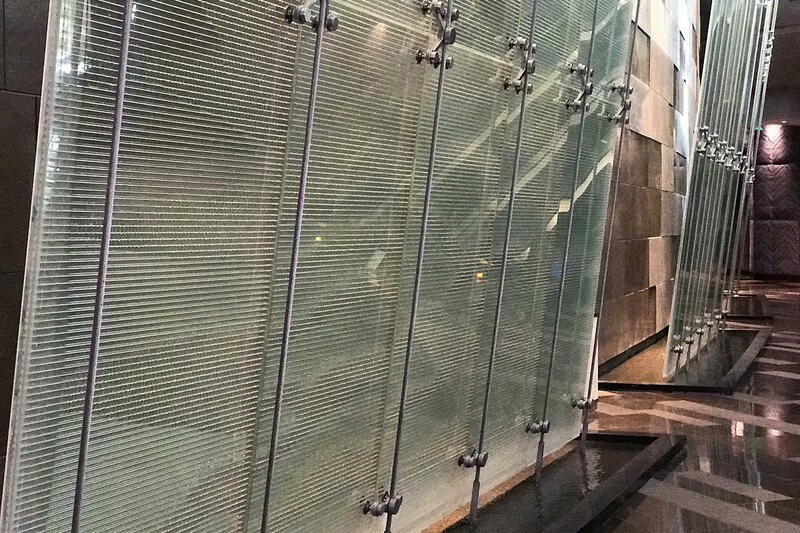 Programmable water flow patterns cascade down the backside of the glass evoking a trickling waterfall.